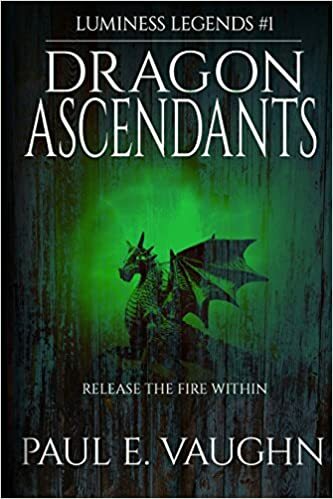 Dragon Ascendants is a genre-crossing novel with many different elements in it. Did you start writing with this in mind, or did this happen organically as you were writing? Yes. Although I intended my novel to be heavy in fantasy and young adult, I also planned to draw in more genre readers. I tried to add comedy, suspense, and romance with hopes of pulling in those readers. Tallian and Fearoc were the most interesting to write for, but they are the hero and villain. As for supporting characters, Briskarr was my favorite. He was always entertaining, and I had a ton of fun deciding what I will do for him next. I had the major points for this novel and most of the series mapped out from the start. Some action and info came in at the moment, such as the reveal of Angelia being Fearoc’s sister. Worked for the moment and achieved the purpose of knocking the readers off their feet. This is book one in the Luminess Legends series. Where will book two pickup and when will it be available? The next novel will pick up approximately three days after the first ended. Tallian will wake up thinking it is the morning of the battle and all that happened was a dream. I hope to be finished writing book two in a year or so. Then the publishing process will start. Half-elf, half-human, Tallian lives with dwarves and knows little about his birth parents. After his adopted brother runs away, hundreds of shadow bats decimate his village, and Meerkesh, Tallian’s adopted father reveals the truth about how he came to live with the dwarves in the Furin Mountains. Betrayed by the only brother he has ever known, Tallian and the dwarves flee from Fearoc, the evil elf who controls Luminess. Against what seems to be impossible odds, dwarves, elves, dragons, and men unite against Fearoc in hopes of freeing Luminess.